Choosing a senior community for a loved one can be overwhelming and time consuming! Let Choice Connections of Virginia help. We are a FREE senior care advisory service that provides a highly personalized service to seniors and their families when identifying and evaluating options. A Certified Senior Advisor helps clients explore and understand available options in the greater Richmond area. We provide objective and compassionate guidance every step of the way in making this important decision and remain advocates after the move. The search to find the "perfect fit" home for seniors has never been easier or less stressful. 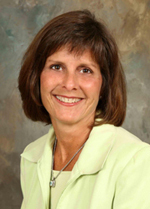 Lisa Hollier is a Certified Senior Advisor and owner of Choice Connections of Virginia. The company began offering services in 2009 and has been growing ever since. "My mother has mild-to-moderate dementia and needed to move into an assisted living facility. Choice Connections was extremely helpful in navigating the options based on her needs and finances. They arranged all the tours and helped locate a great fit for my mother. Their genuine concern for her situation were greatly appreciated."